Former CIA Director John Brennan offered a stern warning Monday, saying that — memo or no memo — President Trump would spark a constitutional crisis if he tried to fire special counsel Robert Mueller. Brennan expressed his disappointment in Paul Ryan and House Republicans, and warned that their actions could make them complicit in obstruction of justice. Brennan has made appearances on MSNBC and CNN as one of many anti-Trump government officials. Last week, he signed a deal with MSNBC and NBC to exclusively to appear as a contributor, and his Monday appearance on “Morning Joe” was his first time on that show in his new position. Brennan’s comments on the program received a quick rebuttal by President Trump in a Monday morning tweet. 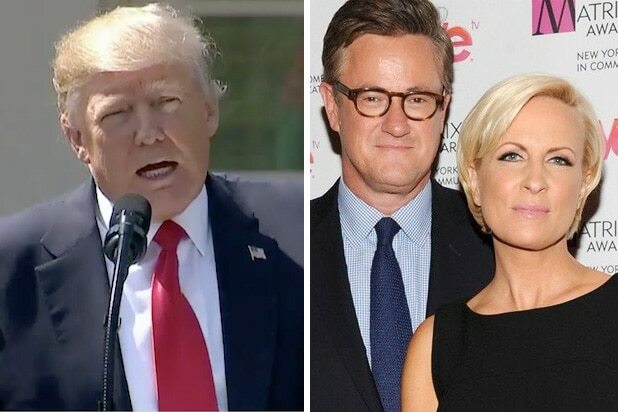 The “Morning Joe” team acknowledged the tweet on-air and urged the president not to watch the show.